Brazil uses biometric machines to verify the identity of 16.4% of voters. Nearly three weeks ago, Brazil went to the polling stations and not only consolidated its democratic vocation by having 80.6% of its 141.8 million voters participate in its general elections, but also strengthened its electronic voting system by accomplishing a new electoral event where technology served successfully both the political scheme and the citizens. Although it has been mentioned before that the country has an electoral platform managed by the executive branch (voting machine manufacturing and running the tally and aggregation system), it is important to remember that since 1996, the country has been working on its own system, which is fully automated nowadays—except for biometric identification, which is applied to only 16.4% of the voting registry (23.3 million voters). Driven by this reality, the country will vote once again on the October 26th runoff. 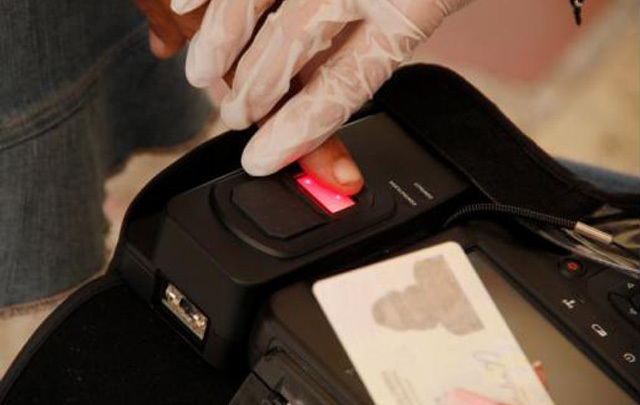 Brazil applied a plan to reiforce the biometric system for this event in order to improve the level of effectiveness of the voter identity verification technology, which captures voters’ fingerprints. The High Electoral Court expects to rise effectiveness from 91.5% reached by biometric ballot boxes during the first round, to more than 95% during the run-off. Giuseppe Janino, the TSE’s IT Secretary, informed that more than one thousand machines were repaired and the training plan was strengthened in order to alleviate the delays that affected four states out of the nation’s 27. While offering better guarantees in biometry, TSE ensures that Brazilian e-voting is prepared to fulfill the demanding event. Brazil’s e-voting is based on a machine having small screen and a numeric keyboard where voters type the numbers assigned to their candidates. Then they verify their vote on a picture appearing onscreen and press the “confirm” button. At the end of the event, several minutes are printed with the results of the election. One of them is stored on a magnetic disk and then transmitted through the secure network of the High Electoral Court. The system is subjected to several audits, requiring electronic signatures from all the actors. This Sunday, Brazil will use 530,000 e-voting machines. As a side benefit, citizens can download a TSE app for cell phones or tablets to get to know details of the process and access electoral results in real time. Automation has been an ally to this nation, and this runoff will be a new opportunity to confirm the value of technology. 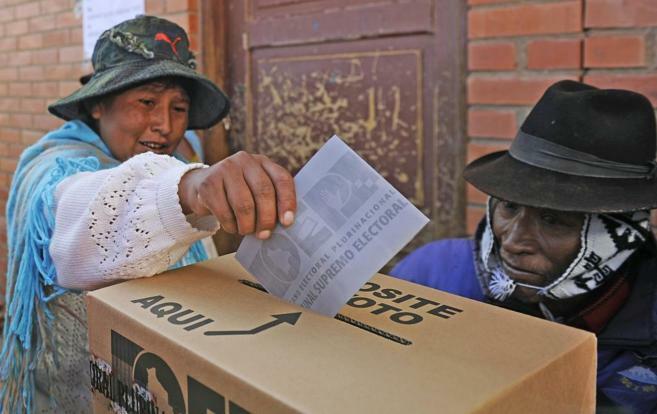 In Bolivia, manual voting affects the key phase of tallying and aggregation. In Bolivia, after the 12 October presidential elections, part of the population applauded—the supporters of the newly reelected Evo Morales—, but nobody celebrated. An outdated electoral system with no guarantees forced the country to follow exit polls to anticipate results, as the High Electoral Court (TSE) was able to broadcast the information from only 2.89% of the polling stations at the end of the event. The meager count did not stop President Morales, who proclaimed himself the winner. Meanwhile, opponents and citizens believed the projections from the polls, certainly fueled by the wide margin obtained by the winner: 60% of the votes. In any other democratic country, it would have been unacceptable that the polls dictated what the official results should have. With the passing of days, TSE’s inability to complete the key process of counting and aggregating votes has become apparent—90% of the voting stations in four days—, as well as other vital stages, as more irregularities have come to light as the tallying process advances incredibly slowly: discrepancies between the data published on tse’s website and the repetition of the elections in 12 polling stations at the El Torno district and one in La Guardia due to multiple anomalies. This led to the announcement that the country will have its final results in November. What happened in Bolivia could have been a tragedy in nations with conflicts or strong political tensions. The TSE was unable to carry out the elections seamlessly and safely, dooming the system to criticism and doubt in the future. Since 2010, the country has voiced intentions to update its electoral platform by using an e-voting model after having accomplished a biometric registry, which recorded voters’ fingerprints. However, in four years the country has done very little to provide its citizens with a decent, reliable electoral system. The vices and problems in the recent electoral processes seem to indicate that the time for hesitation has run out in this nation. The TSE has said that Bolivia is prepared to take on the technological challenge of voting electronically in 2015, at least partially. The country needs to advance and modernize its vote; otherwise it will continue to jeopardize voting and Democracy. All’s wrong that ends wrong. This sentence could apply perfectly to Peru, a nation that announced the extension of its electoral automation from one to seven districts, but executed it away from the public view. Now, after the October 5th regional and municipal elections, the nation must face accusations of fraud and system malfunction, doubts over the choice of technology, and even civil riots. The progress of e-voting was notified by the National Office for Electoral Processes (Onpe) just last August, when the agency had to respond to intense questioning about the contract being awarded to Spain’s Scytl, the only participating company; about the process being carried out in absolute secrecy, and about the fact that Scytl Peru’s Project Manager is Raúl Murga Fernández, the former IT Manager of the electoral body until May 2013. The results from the October 5 elections were also a matter for questioning, as people in the Pucusana district staged a protest before the municipality, and the Attorney General now is about to investigate fraud allegations. Besides, all the districts that used electoral automation experienced multiple problems, including lack of training affecting technicians, polling station officers, and voters. This caused significant delays in the system installation due to the lack of knowledge on how to use the machines, and delays in the voting process due to problems with the application used to unblock the polling booth with smart cards and to print vote receipts. 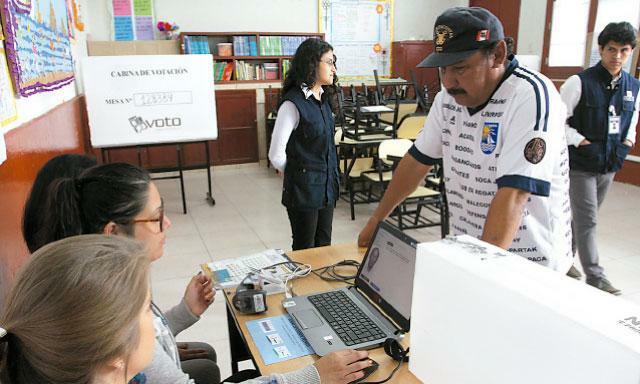 Moreover, Scytl’s system could not provide Peru with one of the most basic benefits of e-voting: speed. Although there were only 186 polling stations with 34,672 registered voters, Onpe had to wait more than seven hours after closing the polling stations to deliver the results of the seven districts with voting machines. What happened during these elections runs in deep contrast with the country’s previous experiences in e-voting. Onpe had designed a voting machine and a system that had enabled the country to partially automate different elections successfully. However, by moving the tender process away from the transparency needed to select the most suitable technology for the country, it has taken a step back and has jeopardized the process of migration from manual to electronic voting. Political organizations, citizens, and stakeholders had shown their trust in automation due to the previous success using Onpe’s technology. However, now the entity will have to perform extra work not only to improve the system, but also to regain the country’s trust.